Sharing another healthy whole wheat cake recipe with all of you - Eggless butterscotch cake with homemade butterscotch sauce/ caramel sauce and homemade praline. 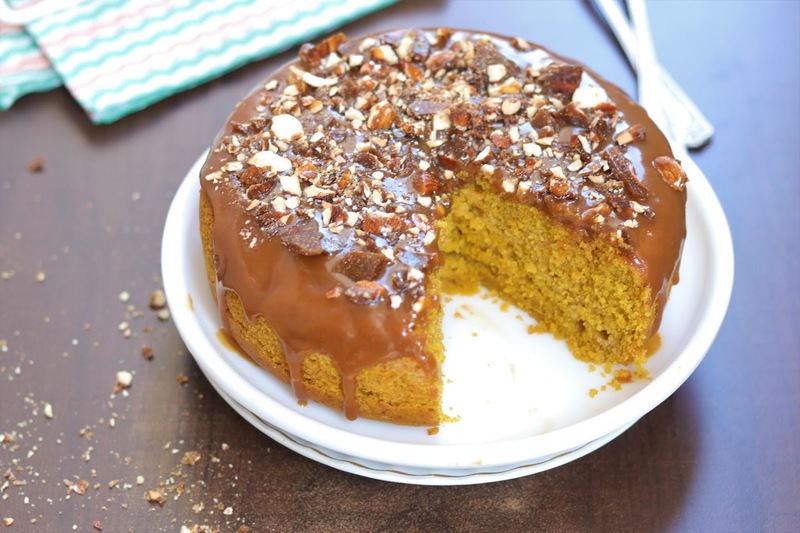 This butterscotch cake is a perfect blend of health (no maida, no refined sugar) with amazing taste of soft moist cake with creamy caramel sauce and crunchy praline on top. Though butterscotch cake is made with whole wheat flour but there is no compromise on sponginess and taste. 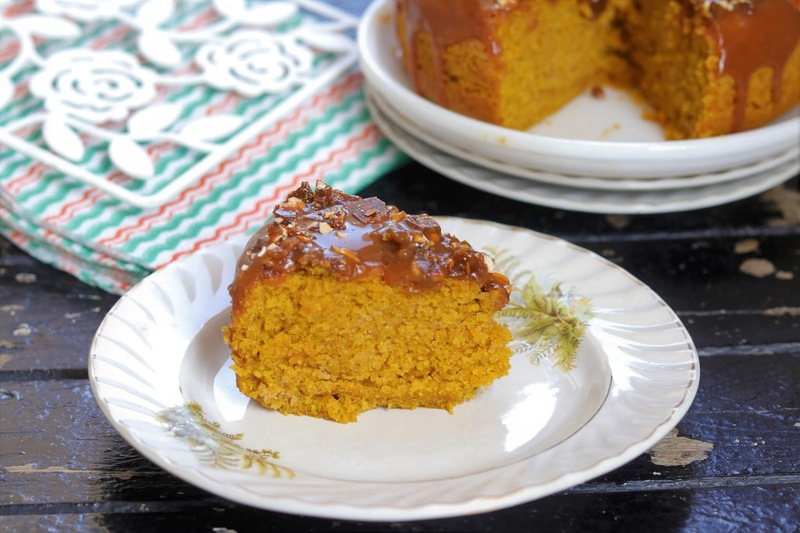 Do try making this healthy cake with whole wheat flour and brown sugar. 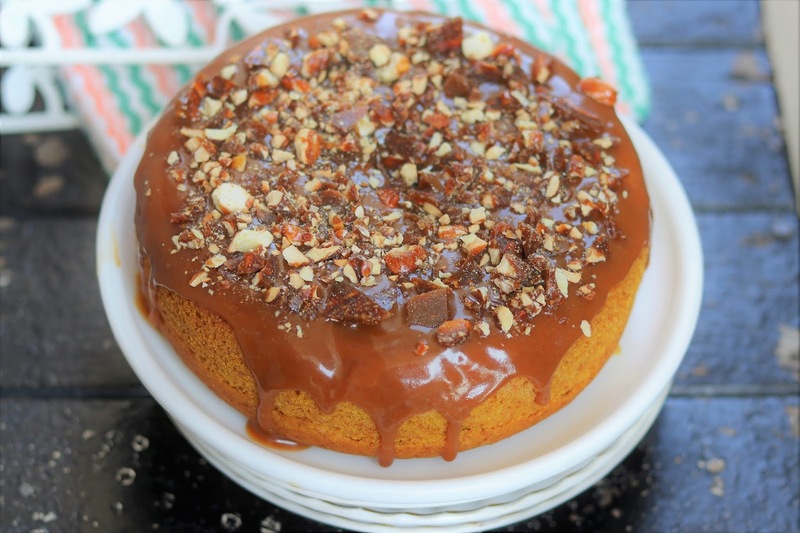 This is a simple eggless cake recipe WITHOUT OVEN. 1. In milk add vinegar and keep aside for 5 min. 2. In a bowl, Sieve dry ingredients - whole wheat flour, baking powder, soda, powdered brown sugar. 3. Add oil, milk and combine everything well to prepare batter. Also add in butterscotch essence alongwith yellow food colour. Combine everything well and trasnfer the batter in baking dish. 6. Praline - caramelize brown sugar and add in chopped nuts. Transfer the mixture on a butter paper and leave for 5 min. Crush it with help of rolling pin. Store in an airtight box. 7. Butterscotch sauce or caramel sauce - Caramelize sugar. Once colour changes and sugar melts, turn off the flame. Add in butter and stir well till froth settles down. Add in mixture of cream and milk and turn on the flame. Add in little cream milk mixture at a time and stir continuously till creamy. Cool down the sauce for 2-3 hours or keep in refrigerator till the sauce thickens up. 8. 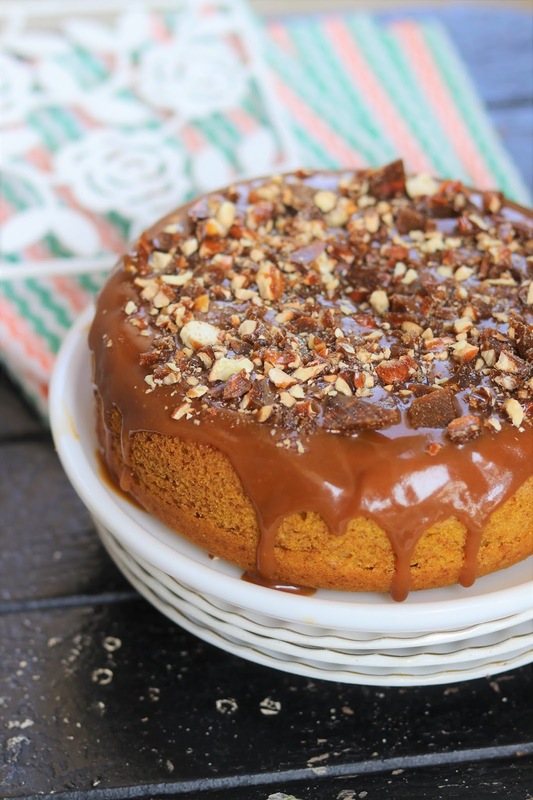 Spread caramel sauce on top of cake and decorate with crunchy praline. 9. Cut the cake in any desired shape.